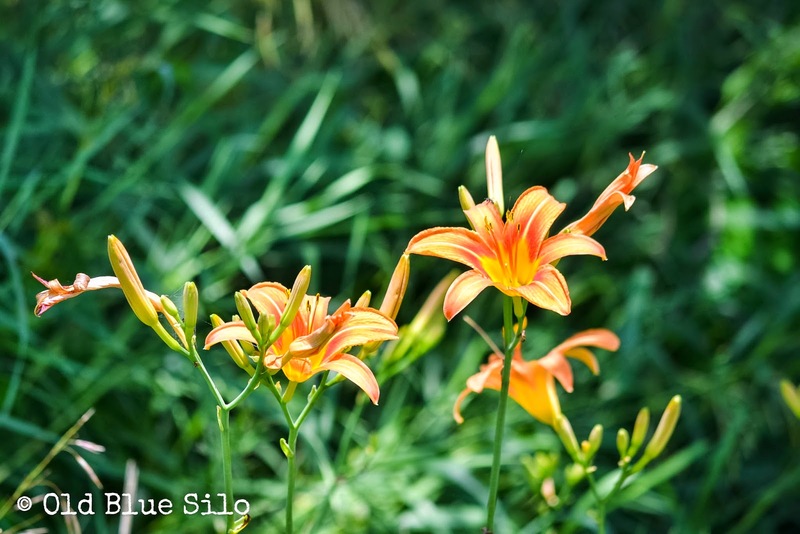 Tiger lilies take me back to a simpler time where life revolved around popsicles, fishing and little league games. 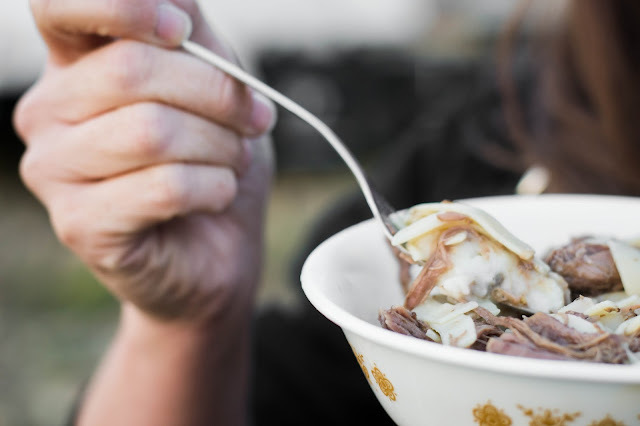 They remind me of my childhood in the Hoosier country. 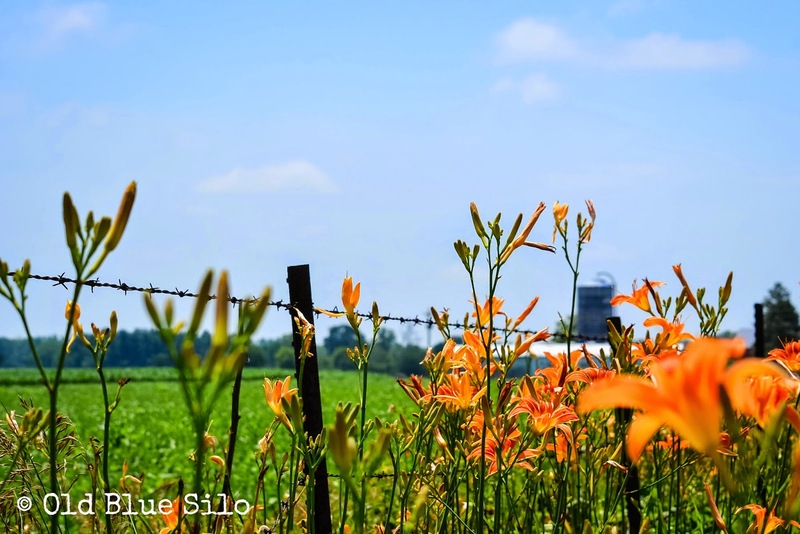 I always know summer is here in full swing when I drive around the countryside finding tiger lilies lining the roadsides! Sometimes you'll see row after row of tiger lily blooms and sometimes you'll just see a single flower or two. I know that ditch lilies grow wild here but I still often wonder how the single plant ended up where it did! 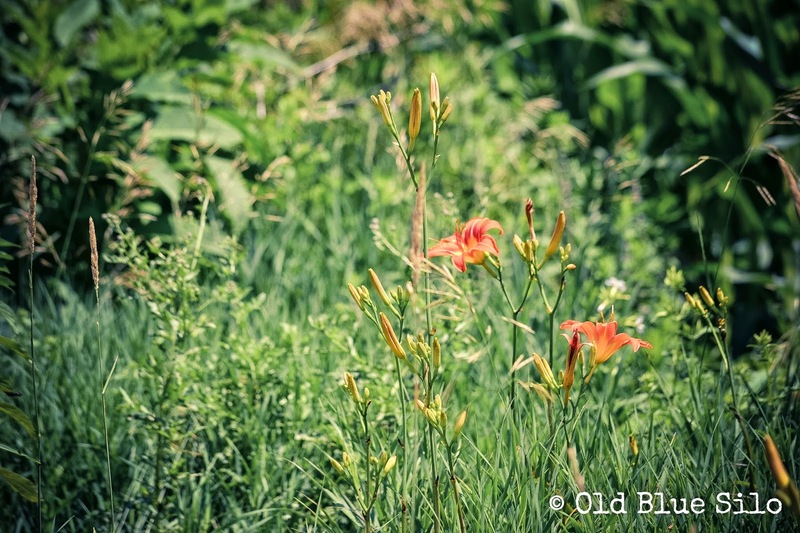 Often times if you find an old farmstead, you can see tiger lilies growing around where the mailbox could have been or even near where the front porch could have sat. 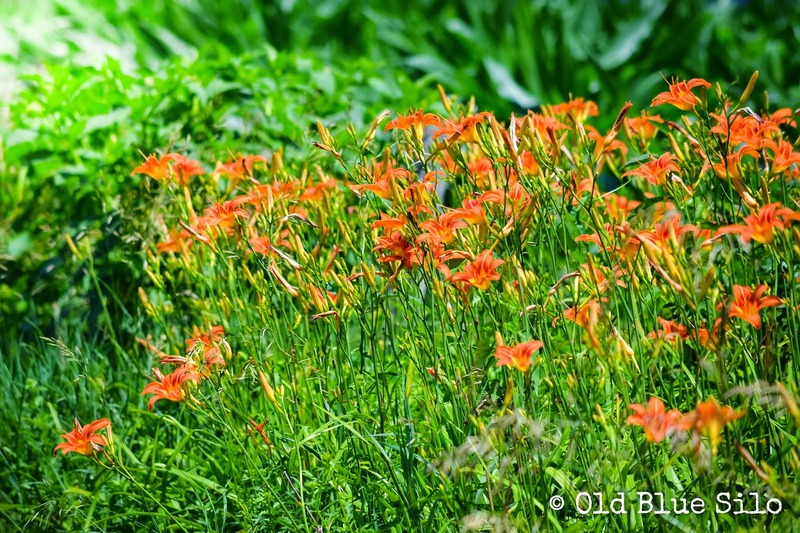 Tiger lilies are part of our land's history. They tell stories. They come back year after year even if we don't. They don't create a seed. The natives here grow through a tubing system. For some reason I just find wild tubing plants fascinating. How do they migrate without humans digging them up and moving them? That's why I say tiger lilies carry a lot of history. Most of the ones around here are older than I am. Older than my parents and grandparents. Quite possible older than my great grandparents and beyond. We have an older building on our property. It has history as well but it's quite the eye sore at times. 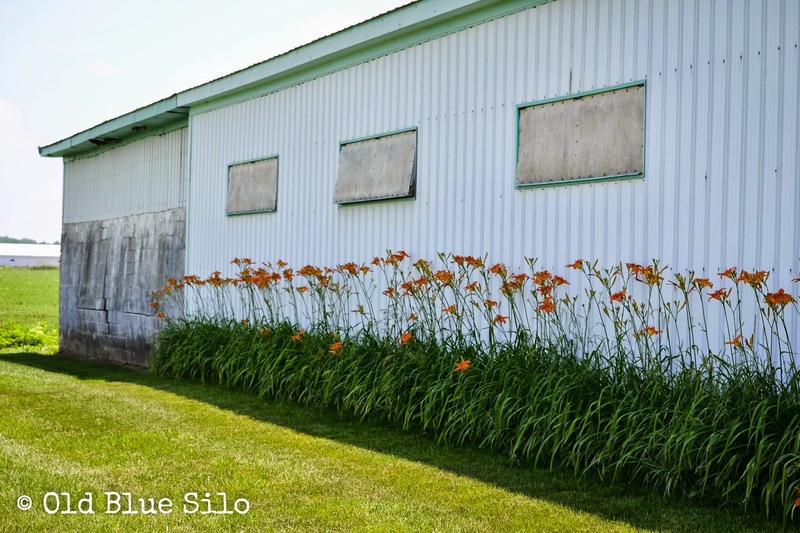 It was once a beautiful dairy barn built out of blocks that were painted yellow. 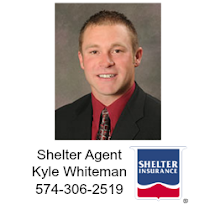 It was taken by the tornado that went through our town in the 70s. My husband's great grandpa kept the existing foundation but built a pole building over it. We have plans to re-side this barn red someday. Someday. 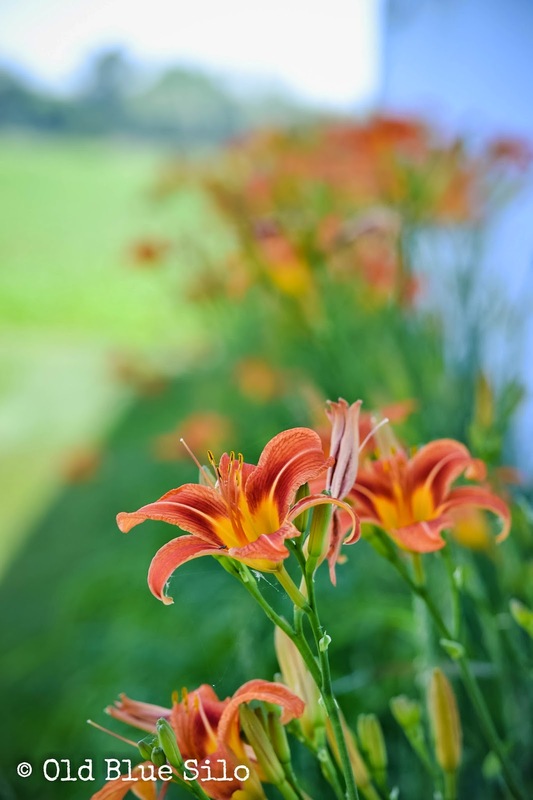 The summer after we got married, I decided to dig up some of the tiger lilies from my parent's ditch and plant them along our building to give it some character. 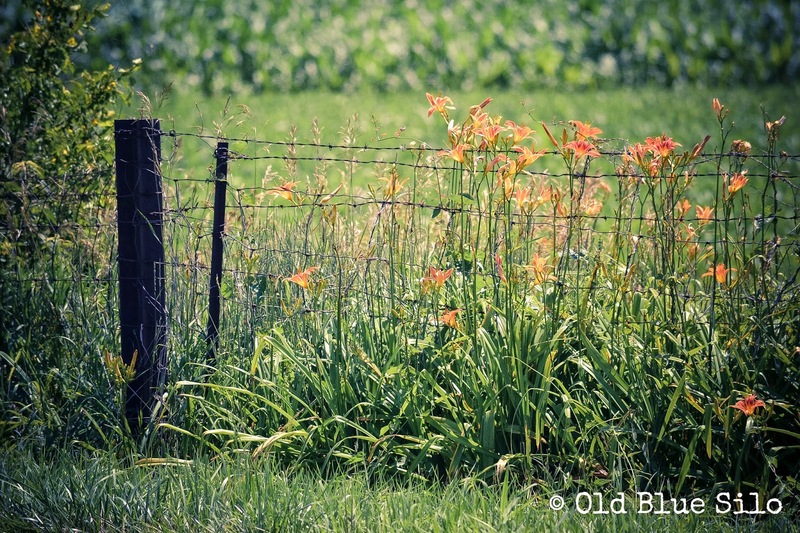 I love driving by an old barn and seeing a row of lilies or iris along the side. They have such an old fashioned but fun character and I wanted that on my farm. I can't believe how much these tiger lilies have taken off the last two years! Tiger lilies are very hardy.They even survived the drought of 2012 without me watering them. If you're looking for a low maintenance, hardy plant, dig some of these guys up and put them in your landscaping! I look forward to spending the rest of my life waiting for these to bloom every summer! They make me do a happy dance. Warning: If you have cats, I heard they can be poisonous! Do not bring them in as a cut flower. 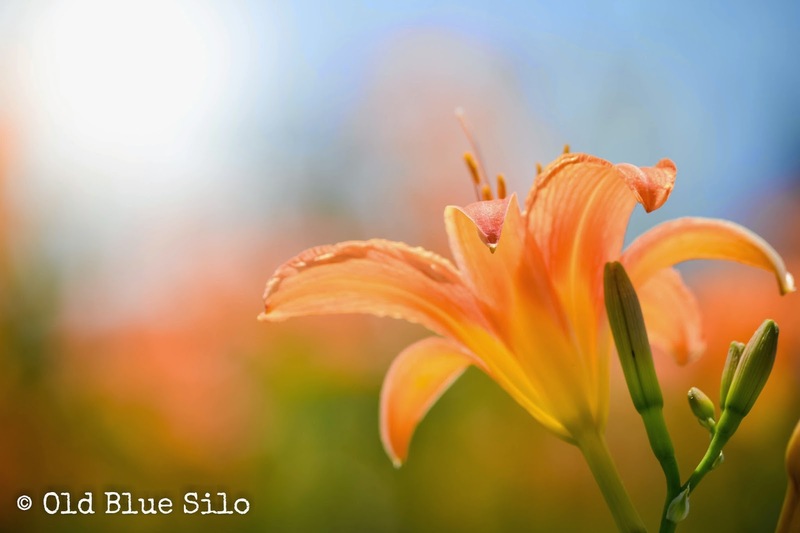 What is one of your favorite summer blooming flowers? 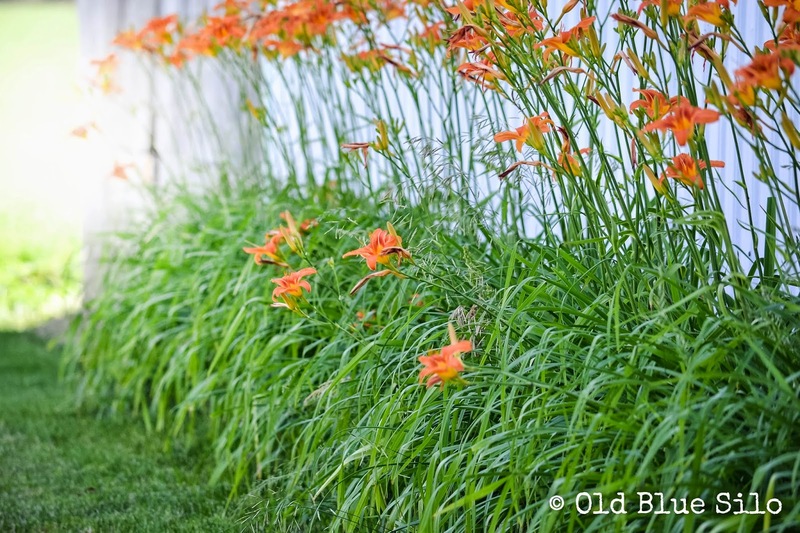 Do you have any tiger lilies on your property? 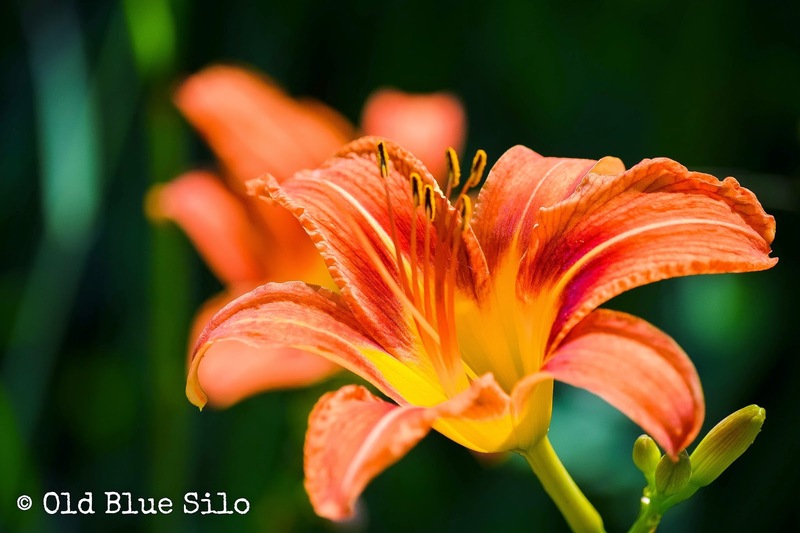 Beautiful thoughts and memories to go along with gorgeous tiger lillies. I think it would be fun to go out photographing with you. 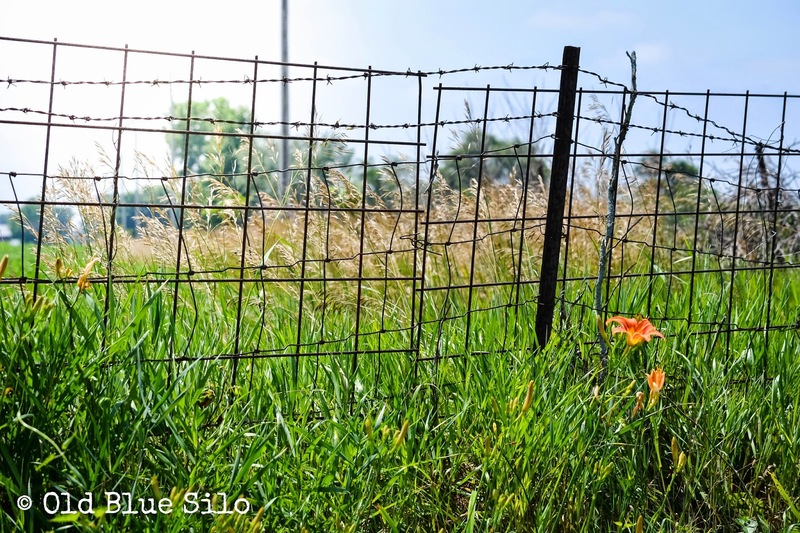 Tiger lillies and old Hoosier barns at your house; cactus and wild roses at mine. Hope you have a fabulous weekend, my friend! I'm so glad that someone else refers to these beauties at 'Ditch Lilies'!! When we moved a few years ago I transplanted some out in front of our big barn and I love the way they've filled out, even without being cared for like they should. I'm (not so) patiently waiting for my limelight hydrangea to bloom this summer, although I've had to baby it along more so than any other plant in our landscaping! I also love when my hollyhocks bloom because it's only once every other year! THESE PHOTOS!! **swoon** They speak to my heart! Beautiful wild flowers!!! I love how they look against the barn. I wish we had more wildflower around here...poor Arizona. 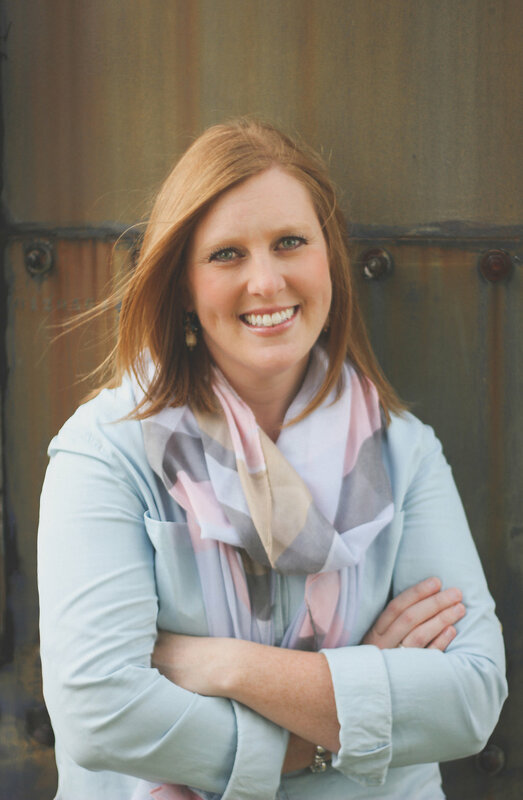 These photos are so beautiful, Kelly! I love this set! 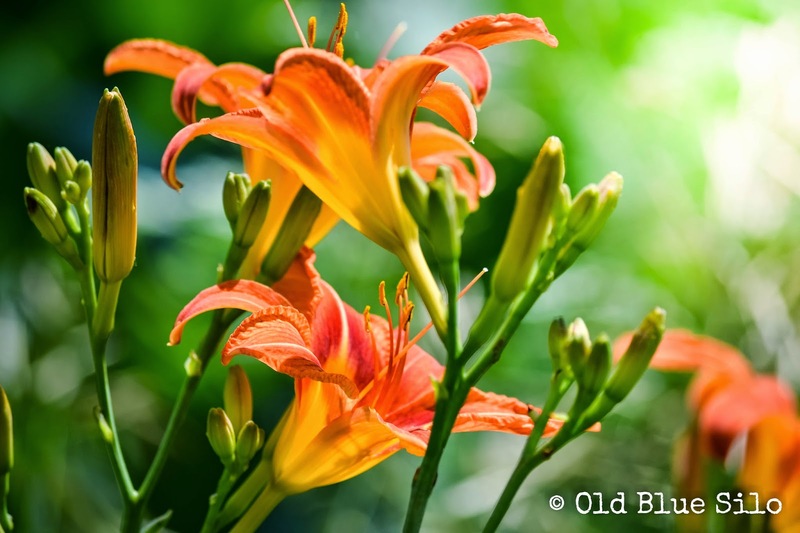 "Tiger lilies are part of our land's history. They tell stories. They come back year after year even if we don't." -- This was so beautiful, and it really painted a picture as I was reading. Lovely post!